With the Women's season completed earlier in the day, the WOX headed to The Smith on Saturday night to begin their weekend celebrations. With sole use of the room until 10:30, the Xavs primed up for a gathering that culminated a day later with Silly Sunday. 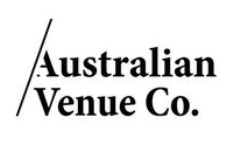 The Smith, at 253 High Street in Prahran, is one of the great venues of our premier partner AVC. A few pics from early in the evening . . .